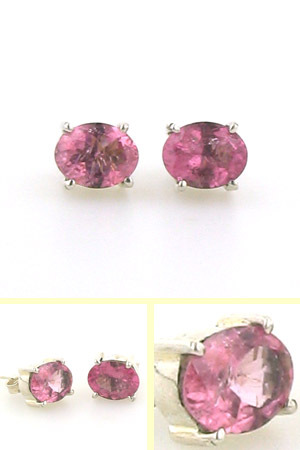 This beautiful pair of oval stud earrings features beautiful light salmon pink tourmalines. 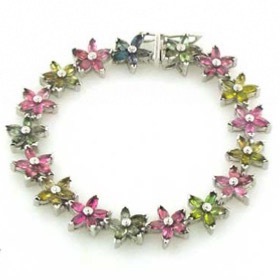 The colour is light but not pastel - these tourmalines have vivid even colour. 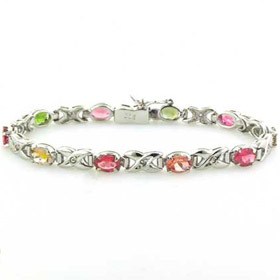 Featuring top quality gemstones, these stunning tourmalines glitter with life and sparkle in the light. 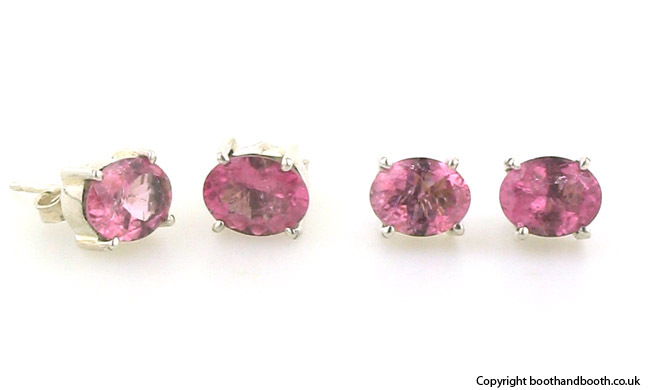 Wear these stud earrings with a tourmaline bracelet or tourmaline pendant.